Most of the major malls have good courts but they are generally known for overpriced and their not so fresh offerings that are targeted at shoppers who are too tired to go out and look for other options. In that sense the My Square at Select Citywalk comes across as a breath of fresh air. 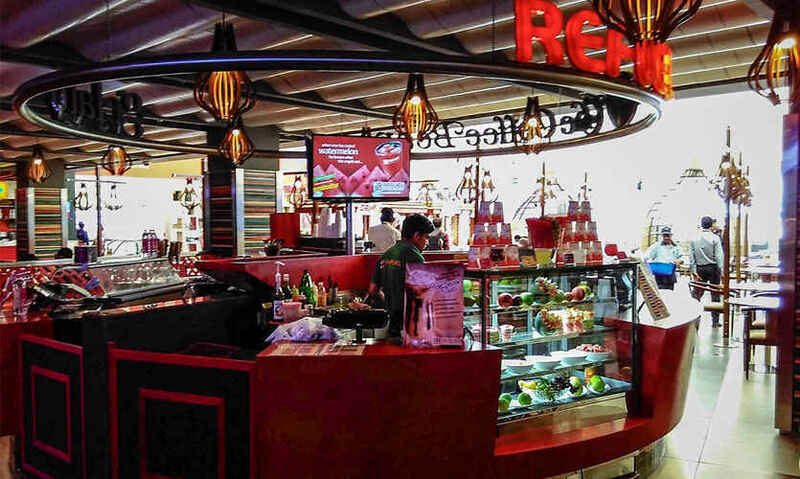 It is a food court with premium offerings and tasteful décor and they are planning to introduce the same across the country, targeting premium locations such as high-end malls and airports. So in the near future don’t be surprised if you spot multiple My Squares popping up at different locations all over the country. My Square is situated on the second floor of Select Citywalk. Many well-known restaurant chains have opened their respective branches here. 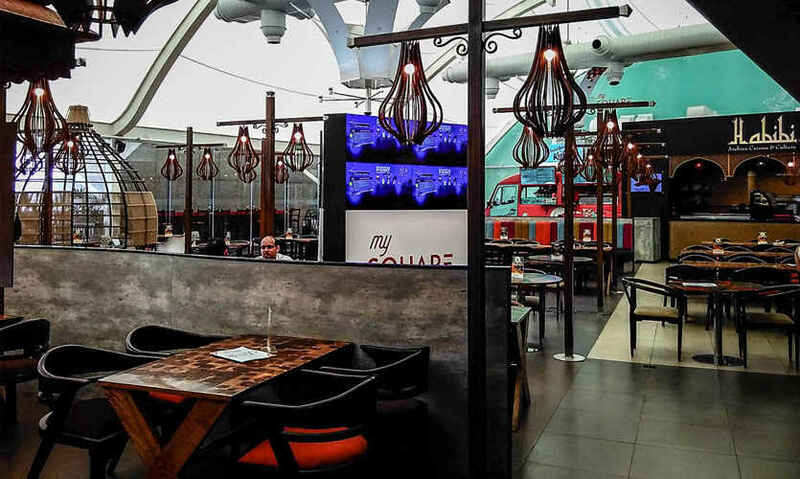 In a deliberate attempt to introduce variety, it has given space to chains representing diverse cuisines. The first ever Burger King outlet in India lies nearby. 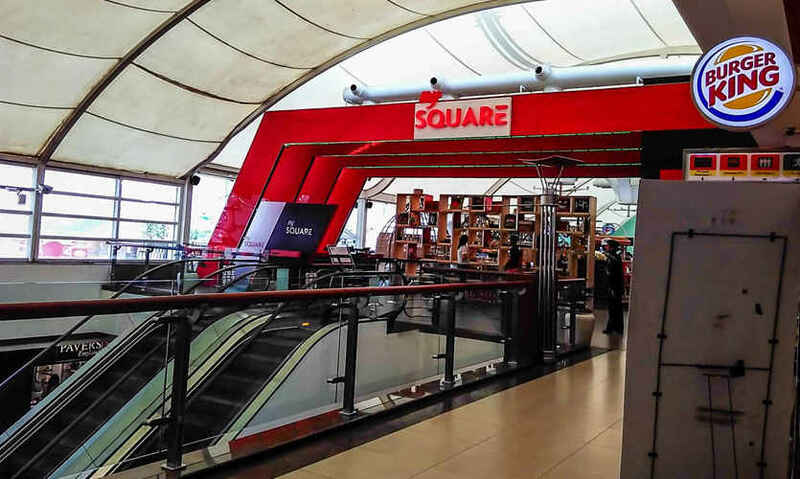 It is officially considered a part of the square, but it is a much larger store and hence located just outside the Square premises on the same floor. 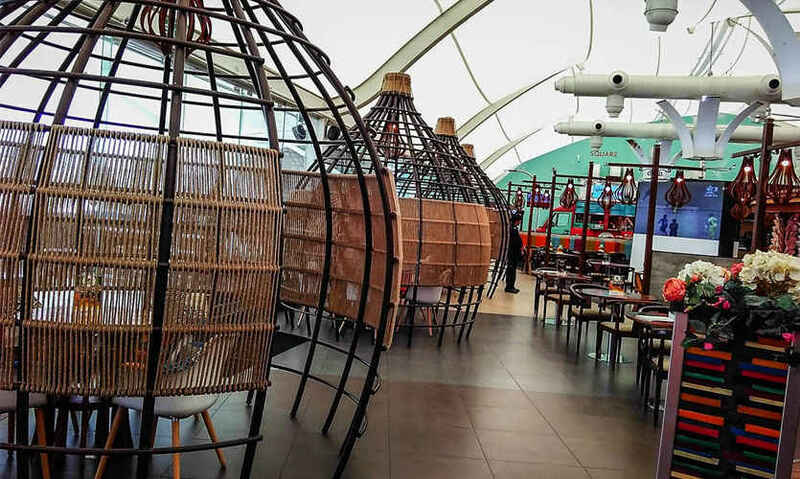 Other noticeable brands include Habibi offering Arabic cuisines, Chennai based Saravana Bhavan as well as Shiv Sagar offering authentic South Indian dishes, Toddy Shop with Malayali dishes and Pind Balluchi with flavours of Punjab. In the middle of the square, there is a large Gelato Italiano outlet to beat the heat as well as one from The Coffee Bean to revitalize you after a long day. Children should also be delighted as you can find a number of candy shops. These are cheerfully designed in the shape of carts and candies in all shapes and colours. 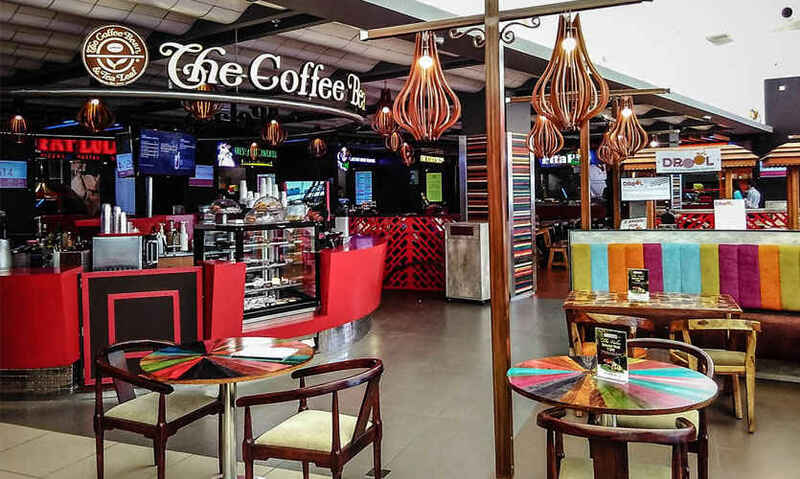 My Square has generally avoided the utilitarian principles of food courts and put in a lot of effort to provide a sleek décor with wooden furniture, soft lighting and understated colors. There is also a clear effort to keep the noise levels low and provide more privacy to the people with several round shaped enclosures where a small group can meet and have a private lunch. It is a marked improvement from the usual food courts where one has to shout to get oneself heard. Reportedly it has an area between 12000 and 1800 square feet which makes it really roomy and spacious. More space also means that there is less crowds and commotion in the court even during peak hours. 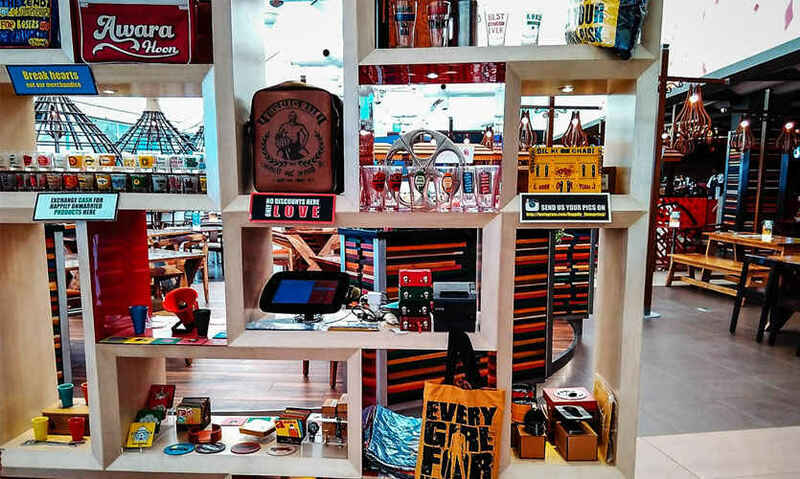 The front entrance of the Square is interestingly blocked by a shelf selling small items such as designer mugs, coasters and wall hangings. While it is visually pleasing, one is not sure if the entrance should be blocked with this. My Square has upped the game in terms of ambience and quality provided to the visitors of our malls. It can be hoped that it encourages other malls to enhance their services too.